Apparently, there is nothing more exciting than a small car with the comfort of bigger ones. 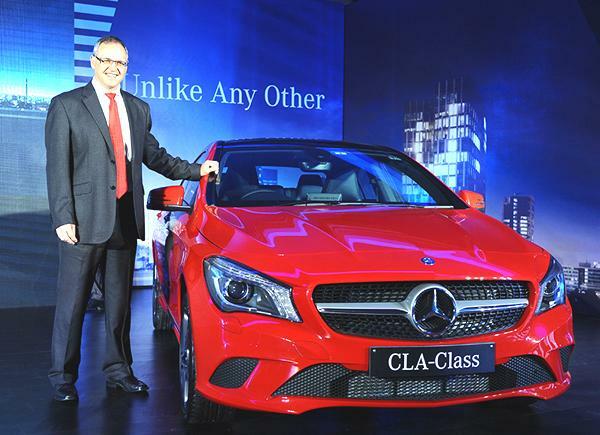 Finally, after studying the heap of pros and cons, Mercedes-Benz India has brought its cheapest sedan called CLA for a price of Rs 31.5 lakh. Prior to it, it was the CLA45 AMG – the performance version of CLA – launched in India with beefed up cosmetic as well as technicalities. Appealed by its compact nature, the CLA is a stylish offering in its class against the Audi A3. Hence, the doors are frameless and it is designed to appear more like a coupe rather than that of a compact sedan. However, diamond starred front grille and aerodynamic body makes it to stand out from the crowd. To keep it a bit personal, 0.25 drag co-efficient only can reeled from the aerodynamics. 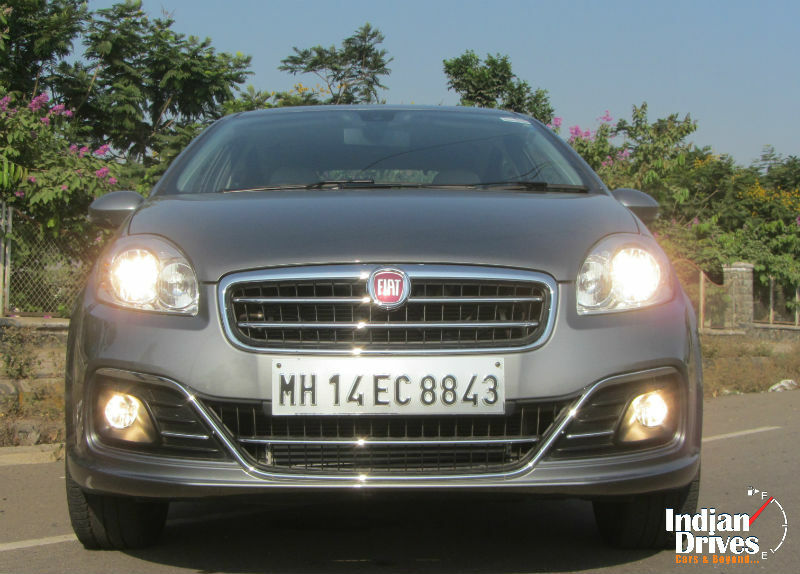 Well, the bonnet keenly hides a 2.2-litre diesel and 2.0-litre turbo petrol. Technically, the car drives on front-wheel MFA architecture, which theoretically makes it unstable for drifting. In the guise of petrol rated as CLA 200, it produces 181bhp of max power at 5500rpm and 300Nm of peak torque between 1200 and 1400rpm. The acceleration from 0-100 km/h is reached within 7.8 seconds and an attainable top-speed of 235 km/h is stated in its official press release. Mercedes claims fuel-efficiency of 15.04 km/l (as per ARAI) for this variant. On the diesel side with CLA 200, the entry-level Mercedes sedan in India eagerly relishes the max power of 134bhp between 3600 and 4400rpm and 300Nm of peak torque between 1600 and 3000rpm. This model gushes from 0-100 km/h in 9.8 seconds and claims a top-speed of 220 km/h, constituted to deliver the fuel-economy at a rate of 17.9 km/l (as per ARAI). Both of fuel-types comes mated to a to a 7-speed dual-clutch (DCT) automatic gearbox with the traction being sent to front wheels only. Feature list continued the explanation with those 6-airbags, ABS, EBD, ASR, 17-inch alloy wheels, panoramic roof, Bi-Xenon headlamps, reverse parking camera, Harman Kardon surround system with 12-speakers and a COMAND infotainment system. So, those young aspirers looking out for a Merc at an early age can surely look forward to CLA which assures a statement at every arrival. Phrase like ‘see it to believe it’, perfectly fits this youngest yet cheapest Benz sedan in India. 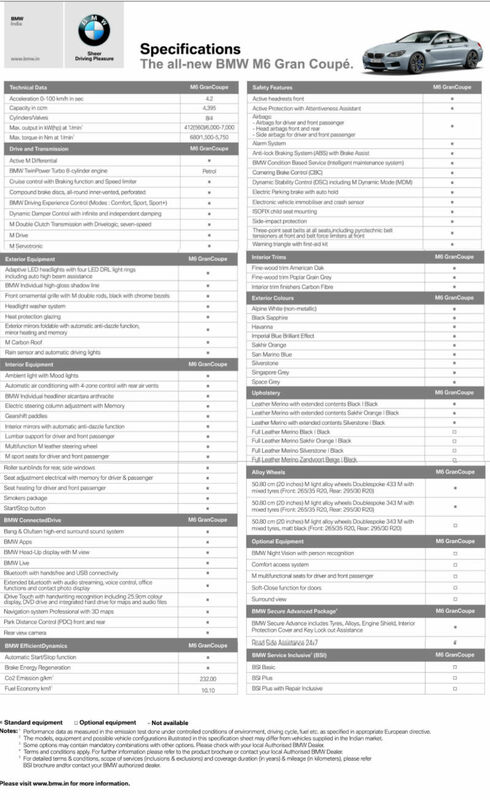 Three trims are offered for CLA, which are mentioned below with their prices as per ex-showroom Delhi. 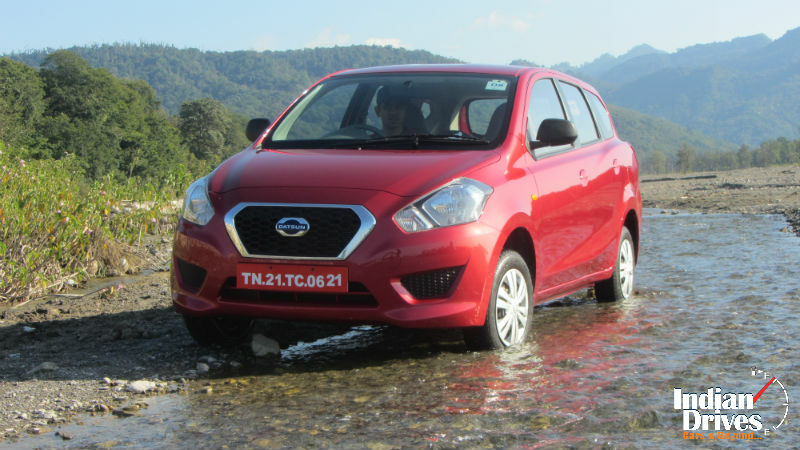 Datsun’s entry was meant to show Indians a new line of options in the already clustered yet confused market of masses’ cars. The promise was delivered quite for a few notches. Earlier, the proper hatchback, dubbed as “GO”, sold at the price of a compact car and even the so called MPV “GO+” lined up at the sales floor is about to depict the same story once again. A chance behind the steering wheel of GO+ made the vision clearer of how that partly called MPV in the skin of ‘estate’ feels when pulled out on the road. Honestly, GO hatchback hadn’t disappointed for that given price tag. The challenge before engineers was to make the similar promise more acceptable when added with the sheet of metal over rear pillar in GO+, and turn into a spacious model without harnessing price point very distantly. As a whole, the outcome is genius. GO+ looks a complete new car, instead not a stretched version of the hatchback. Lowering end of roof and the length compressed less than 4 meters with the raising beltline successfully cut chunk of masses. 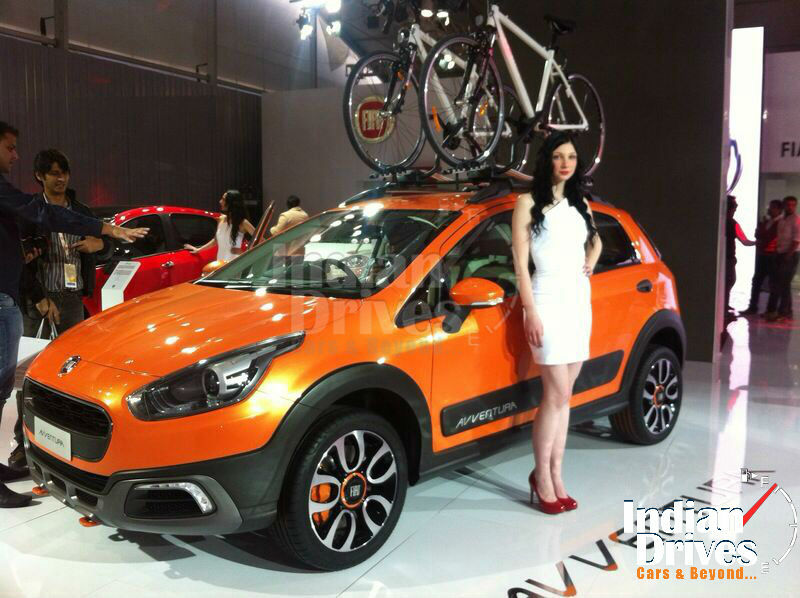 It appears pretty sizeable and adorable both with that same GO front grille inclusive of other fixtures. The flick at front bumper is appreciable to make that appearance more eye-soothing. Model given was the top-end but still it felt like the basic trim. An only good gimmick that happened to be there was AUX connectivity. Other than that, the plastic and numerous cost-cutting efforts can be seen in abundance. Even the company had given manually adjustable seat belts, whereas they should have not dropped out on that which is really a concern for safety. Seats lack good thigh support and paltry padding at the back makes it to go a bit uncomfortable for long runs. Must admit, the rest of cabin is crafted to suit the price for which it is going to be offered for, and nothing exceptional. Despite the added weight, engine still feel that punchy to take on the roads with eagerness. The revs are pretty confident to roll on any of the given road condition in India. Even when packed to the core with all the passengers, power doesn’t feel less than the appropriate. Talking about suspensions, they are stiffened and able to handle the bumps (even when the car is packed to the fullest). Corners and other undulations are soaked up but due to improper insulations the noise filter inside the cabin. Gearshifts are savored for the light response whereas the tyres don’t offer that much of grip. Otherwise, the light steering and well-grim brakes makes the job easy further. The drive of car isn’t there to complain of. Every bit falls easy on the hand. In fact, shortcomings can be experienced at the cosmetic side of cabin. To make that very brief, it is rather not to expect a plush interior. Well, the third row is a total impractical effort for anyone to sit there. Only kids can go well with it that of the age below 5 years, otherwise one has to duck down upto the seat. It’s better to fold down the third row and use that space for the luggage, like it used to be in ‘estate’ kind of cars. 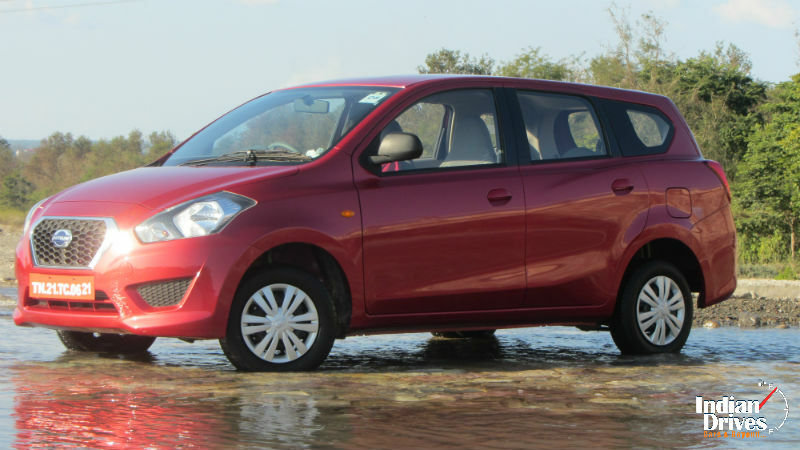 Datsun GO Plus is a proper five-seater. No complaint looking down to its price tag. Fiat Avventura, one more addition to the fray of hatchback turned crossover, is launched in India for a starting price of Rs 5.99 lakh ex-showroom Delhi (Petrol Active variant). The diesel trims starts at Rs 6.98 lakh. Over the changes made, Fiat’s crossover carried a standard spare wheel, raised ground clearance of 205mm and 16-inch wheels across all the variants. Most of the cosmetic gimmick is drawn from the new hatchback Punto Evo. The nose is reworked and add-ons are placed over the bumper for a go-anywhere looks. The aluminum roof rails and scuff plate further add to that appeal. To make a brief note about the rear mounted wheel, it has its own bracket which has to be unplugged prior to opening the tailgate. Inside the cabin, reworks are immense in numbers. 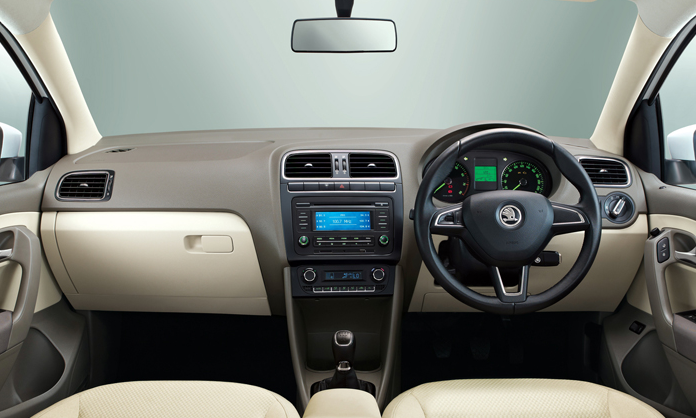 Prominently, the dashboard gets a dual-tone treatment, compass and tilt meter for the off-roader appearance. Driver is treated with a peace of mind having dual-airbags at its bay and seat height adjustment. Rear seats can now be folded down in the ratio of 60:40 for the practicality purpose. Other safety features in the list is ABS with EBD. 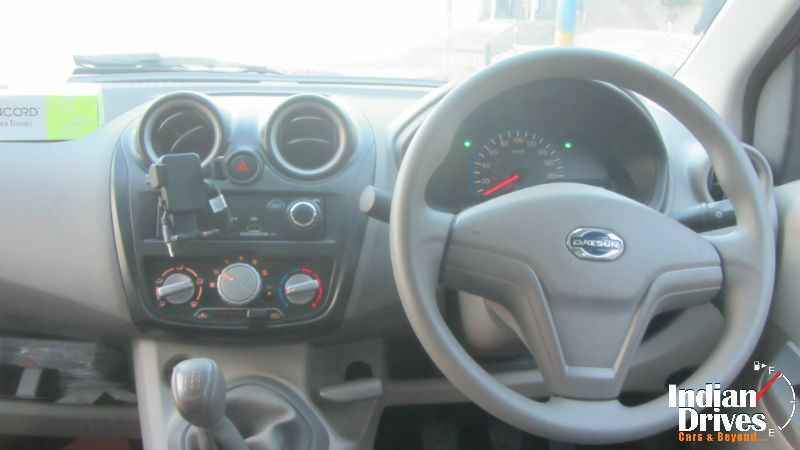 Certain variant gets steering mounted control, rear AC vents, automatic climate control, and Blue & Me system for telephony. 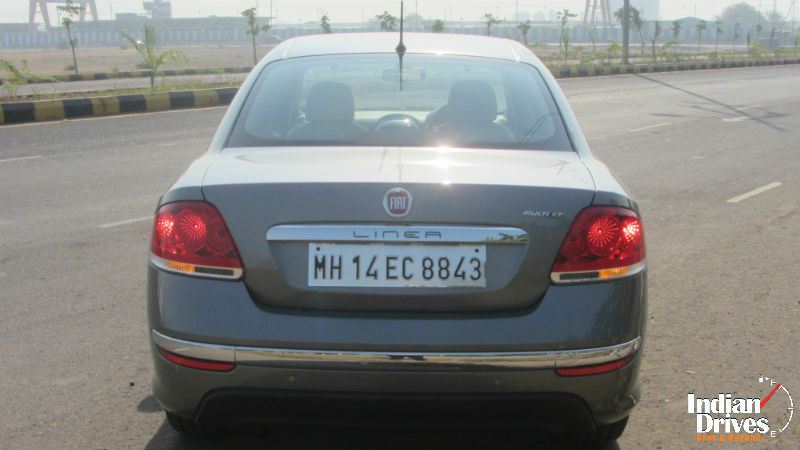 Underneath the hoods, petrol variants are powered by 1.4L FIRE engine worth of 89 bhp and 115 Nm of torque. 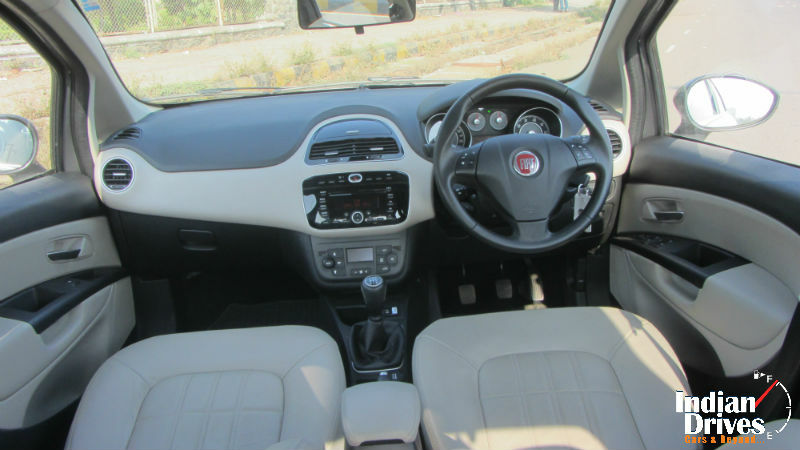 The diesel comes with 1.3L Fiat Multijet delivering 92 bhp and 209 Nm of torque. Both the guises are mated to a 5-speed manual transmission with all the power being sent to front wheels. In the line of competition, Avventura stands head-to-head with Volkswagen Cross Polo, Toyota Etios Cross, Ford EcoSport and others of the same kind. Six colours made available in three trims: Active, Dynamic and Emotion. The grandest year marked with SportZ edition of i10 Grand by Hyundai is celebratory. Launched for Rs 5.11 lakh in petrol and Rs. 5.98 for diesel (ex-showroom Delhi), the anniversary model comes loaded with new upholstery combined of black and red, leather wrapped steering with mounted controls and telephony, Bluetooth connectivity, exteriors graphics, 14-inch diamond cut alloys, rear spoiler and blackened B-pillar. Under the bonnet, without any drama of Sports, remains the 1.2L Kappa 2 petrol engine and 1.1L diesel. Transmission is aided by a five-speed manual gearbox, whilst the petrol buyers only can enjoy the four-speed automatic as optional. Going fast is old, but going Rapid is all new, and here’s what he hope the Skoda had envision before getting the 2014 Rapid to market. This new entry level saloon of Skoda is almost similar to the outgoing version, but Skoda performed some remarkable changes to make it a better competitor against the new Honda City, all new Ford Fiesta, Sunny facelift and more. Firstly, the major change starts from the front itself, and that’s none other than the projector headlamps. It is projected to give a better visual appeal to the car. And apart from that, this Skoda also has the all new logo of the company earmarked everywhere from front to rear. Sides and rear remains the same, except for the new logos. Changes apart, the car also gets fifteen-inch wheels on the Elegance trim, where the lower trims are shoed with the fourteen-inches. Time for interiors, the steering is all new with three spokes, and the controls mounted on it pose to be late entrants in the market. USB, aux, MP3, Bluetooth connectivity and SD card compatibility enhances the package further. All variants except the base one gets airbags and ABS. The Elegance trim followed by Ambition Plus gets airbag for the passenger too. 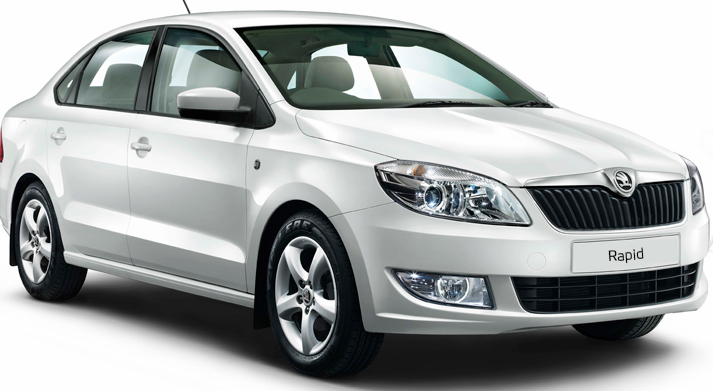 Thoughtfully, Skoda also makes available the leather package with the 2014 Rapid, which gets the leather on steering, gear knob and seats. The automatic climate control on the top-end is the last addition to pinnacle. On the technical front, the new updated Skoda Rapid derives the same engine of 1.6-liter petrol and 1.6-liter diesel powering the output of 105bhp. The difference in the engine bay of both the fuel trims occurs with the number of torque, as only 153 Newton Meter is delivered from the petrol motor, whereas the diesel churns out a hefty 250 Newton Meter. Paired to it are the 5-speed manual gearboxes, where the 6-speed automatic is only made available for the petrol buyers. The engine is ultimately refined amongst its category, which brilliantly revs upto 5,500 rpm and the 0-100 kmph is jolted in a jiff of something near to 10 and 11 seconds. 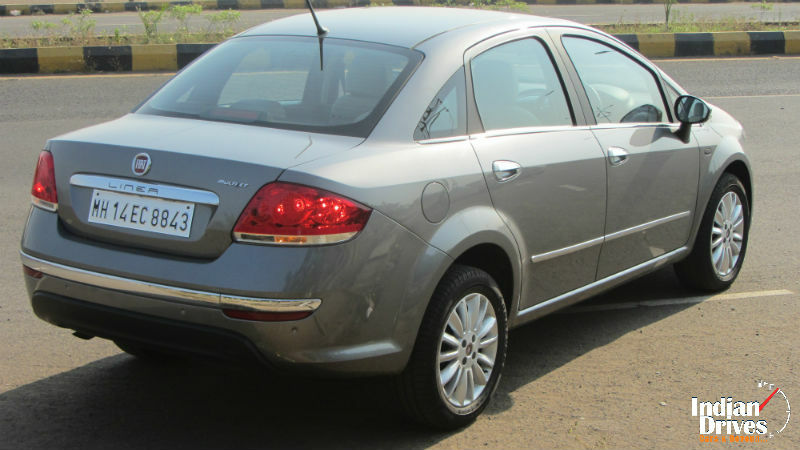 Likewise, the other Skodas available in India, this car on the drivability is a total frolic. The ticker swiftly moves to the north, and toward redline too is not a hectic at all. Every time the pedal is hit in each of the gears raw power of the car can be felt desirably. Sharp turns and dive into corners tendered smiles to our faces every time. Complementing to it is the astonishing fuel-efficiency. Our car clocked notches-near-to 14 and 15 kilometer per liter overall, which was also bound to go up to till 18-19 kmpl if run solely on highways. The braking to pull out the fun in time before its gets too late is sufficient which locks the wheels in over almost no time. 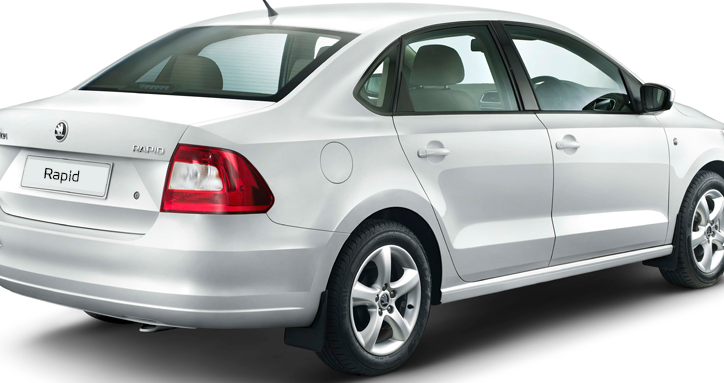 The 2014 Skoda Rapid poses as a great buy for the money value, and also never turns down the enthusiasts with its dashing performance. Competition in the market is already risen a notch above. 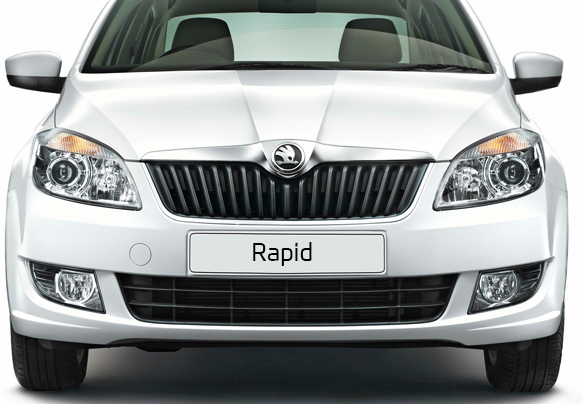 The new features added on 2014 Rapid are going to help this entry-level Skoda sedan for some more time. But, we guess, the all new Rapid must be there in the works that shall definitely make the Skoda to mark a return to this segment with “Vengeance”! 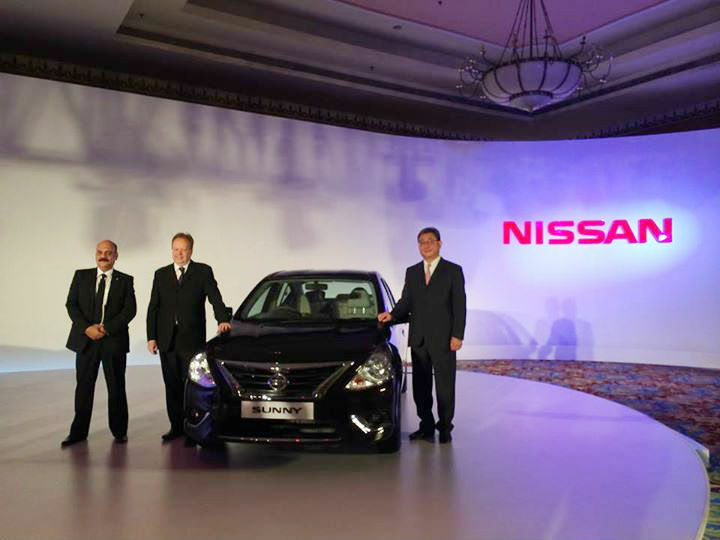 Nissan Sunny facelift launched in India for Rs 6.99 lakh ex-showroom Delhi (and Rs 7,29,354 ex-showroom Mumbai). The Sunny facelift in India is gotten over with the cosmetic changes rather than technical ones. On the outer, new Sunny is coveted with new headlamps, new bumpers, redesigned front grille, and ample of chrome everywhere. The signal indicator had moved to the side mirrors now. Inside the cabin, the tweaking can be named in the form of redesigned dashboard, piano black center console from hatchback Micra and Teana-derived steering wheel with added functionality. Commemorating the history of Nissan Sunny in India in a slight depth, the tenth generation Sunny was first launched during 2011 and has been Nissan’s flagship sedan in the country ever since. With the launch of new version old Sunny is discontinued. Under the hoods, the technicalities are retained from the outgoing generation. Petrol versions are powered by 1.5-liter HR15 engine of 99PPS@6000rpm with 5-speed manual and 101PS@5600rpm in CVT both along with 134Nm of torque @ 4000rpm. The famous 1.5-liter K9K dCi diesel engine of 86PS@3750rpm and 200Nm of torque @ 2000rpm is married to 5-speed manual. It was speechless – the first drive of the new Mercedes-Benz S-Class, specifically that S 500. Now in addition to fill in the hunger of diesel lovers of India, German automaker launched the diesel version of the new S-class, the S 350 CDI, at Rs 1.07 crore (ex-showroom, Pune). No lesser competitive than the petrol fuelled sibling, the diesel S-Class, S 350 CDI, is bumped by a 3.0-litre V6 turbo-diesel in the bay for the output of 255bhp and 63.22kgm of torque. Mated to a seven-speed automatic gearbox, the diesel version of Merc’s best chauffeur driven car can clock to a ton from none (we mean 0-100km/h) in 6.8 seconds. 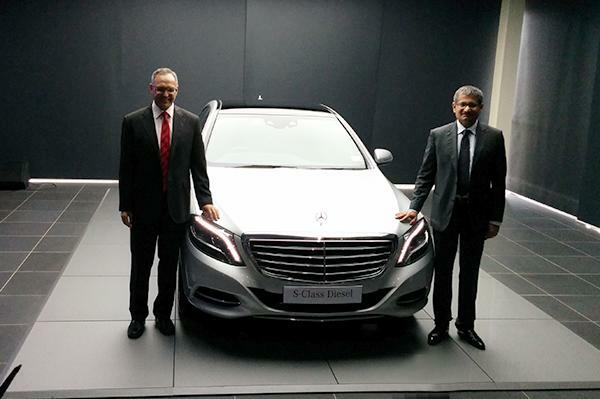 Likewise the S 500, this too will be assembled in India at the Mercedes’ Chakan plant near Pune. Equipment level is said to remain the same as of the pricier (petrol) version S 500, but will skip out certain standard features of them. Air suspension, eight airbags, Mercedes’ ‘Pre-Safe’ system, park assist system, powered rear seats, a rear-seat entertainment system comprising of two 10-inch screens and wireless headphones, and the fantastic ‘hot stone massage’ seats are all termed as standard features for S 350 CDI (diesel) in India. And if those aren’t enough to relax its customers, then the feature of front seat moving forward by 77mm will ease up the rear passenger with regards to a more roomy legroom. Bookings are in full-fledge at all the Mercedes-Benz showrooms across India, with deliveries slated to commence from end-June or early July. Beast of Mercedes-Benz had gone beastlier! Launched the Mercedes-Benz ML63 AMG in India for Rs 1.49 Crore ex-showroom Delhi, the five seater SUV of German automaker in India joined the league with its siblings like GL63 AMG and the G63 AMG. Under hoods, it stores a 5.5-litre, turbocharged V8 petrol engine, the same that is engulfed into the bay of GL63, produces 550PS of max power, which is approximately 30PS lesser than its elder sibling – 7-seater SUV. ML63 AMG weighs near to 2.2 tonne on scale, but can go forth from 0-100kmph in just 4.7 seconds. The pulling power is termed in the form of 760Nm peak torque. The better half given to the engine is a AMG Speedshift 7G-Tronic automatic transmission, enables it to reach a max of 250kmph in a zest, which can be enhanced to 280kph when opted for the optional AMG Driver’s Package. Suspension setting can be changed as per ones’ needs, customers can choose between three options – Comfort, Sport and Sport+. 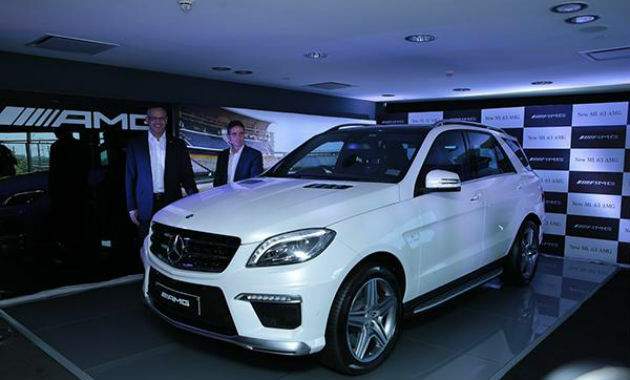 ML63 AMG is launched only in one trim level in India – the top-end spec. And to fully revert back the value for money asked, on outers, Benz gets its buyers AMG wheels, quad rectangular exhausts, massive brakes, and slightly differentiated bumpers than the standard version. On interiors, the performance SUV delivers, Alcantara leather draped steering wheel and roof lining, seats coveted in leather, AMG dials, and a mix of plastic and chrome to complete the overall package. On the feature list, climate control, cruise control, panoramic sunroof, fully powered electric front seats with memory, and the latest COMAND system are adding to value and more comfort. 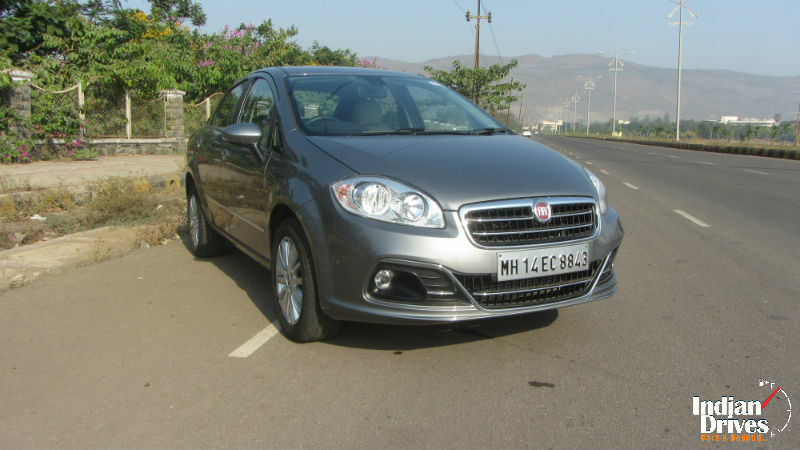 Plenty of airbags, ABS and ESP, assures its buyers will be cocooned in the lap of safety at the most. On a comparative note, the Porsche Cayenne Turbo is thought to be its major competitor in India. BMW M6 Gran Coupe is now on sale for Rs. 1.75 crore in India. It will compete head on with the recently introduced Audi RS 7. Perfection means fulfilling the highest demands. Even from a distance, its powerful silhouette shows that the M6 Gran Coupe exceeds all expectations. 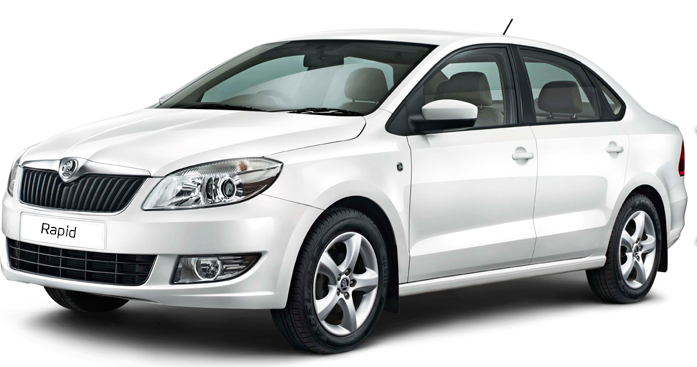 Relentlessly pushing forwards, it presents itself stylishly on the street. Its dynamically designed lines, elongated hood and long wheelbase unify everything, which defines sporty design. The all-new Gran Coupe is also longer and wider and 5kg heavier as compared to M5 (1945kg). 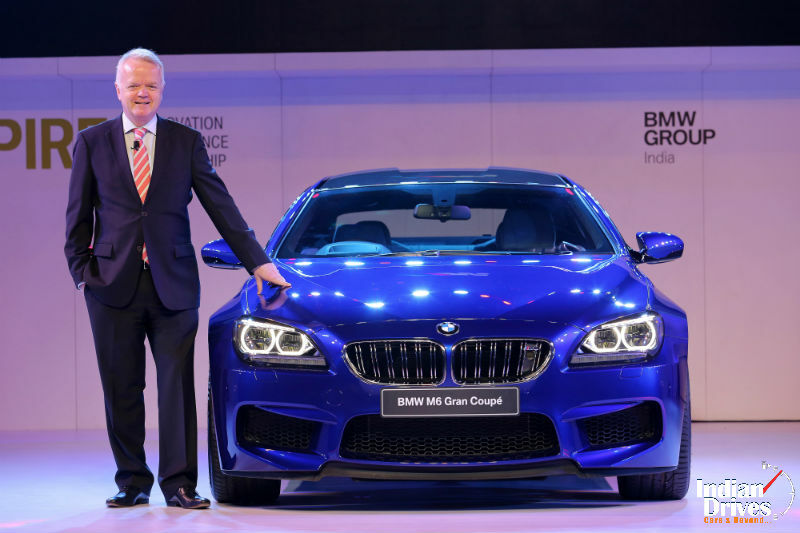 This is basically a go-faster version of the BMW 6 Series and revealed at Detroit Auto Show last year. 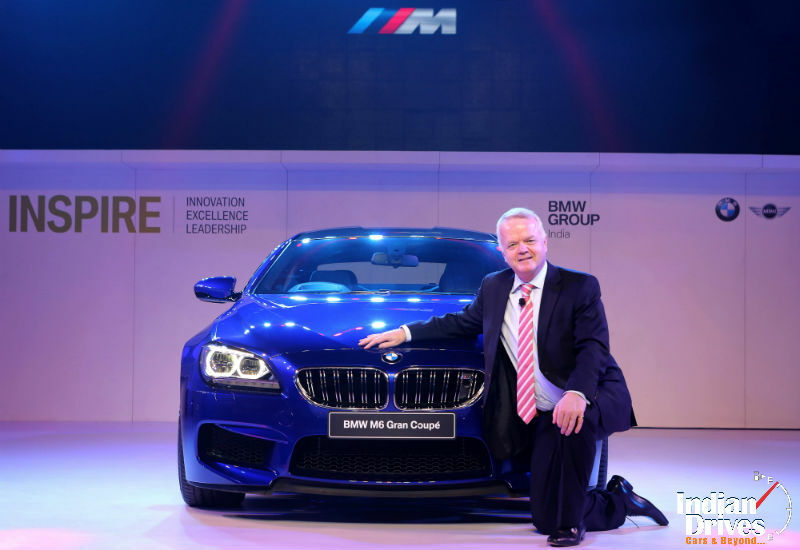 BMW India exhibited it here, at the 2014 Auto Expo this Feb. and unveiled its plans of introducing the 5-door coupe in the country. The BMW M6 Gran Coupe’s unique character is underscored by M6 logo in the M-specific kidney grille with chrome based double slats, spectacular roof constructed fully out of carbon and air vents. Selected materials and colors give the interior a striking air. The BMW individual roofliner in Alcantara and leather is closely moulded to the inner contours of the carbon roof, whereas the driver-oriented design exudes stylish elegance: at a slight angle, the central console presents all relevant info on 25.9cm Control Display. The interior of BMW M6 Gran Coupe is equipped with plenty of high-tech features; these include a redesigned 3-spoke steering column, eight airbags, several driving modes, seat memory function and BMW’s iDrive. The M TwinPower Turbo eight-cylinder petrol powerplant dispenses breathtaking power (560HP @ 6000-7000 rpm) and smooth torque (680 newton meters @ 1500-5750 rpm). The use of intelligent technologies sends driving pleasure soaring and effectively reduces emissions and fuel consumption. In spite of its impressive performance, the M6 Gran Coupe only consumes an average of 9.9 litres per 100 kilometers and is therefore one of the top of its segment. It accelerates from 0 to 100kmph in just 4.2 seconds with the top speed of 250kmph. An uninterrupted flow of power and linear thrust mean even more adrenalin for the driver accelerating in the BMW M6 Gran Coupe. Yet even CO2 emissions and efficiency gain values that inspire! Intelligent technology for record-breaking performance; the M double-clutch 7-speed transmission with Drivelogic leads to high-precision gear shifts in fractions of a second and thus offers inspiring thrust without any loss in traction. And since less fuel always equals fewer emissions, the 7-speed M double-clutch transmission with Drivelogic ideally complements this modern and trend-setting sportscar in many respects.